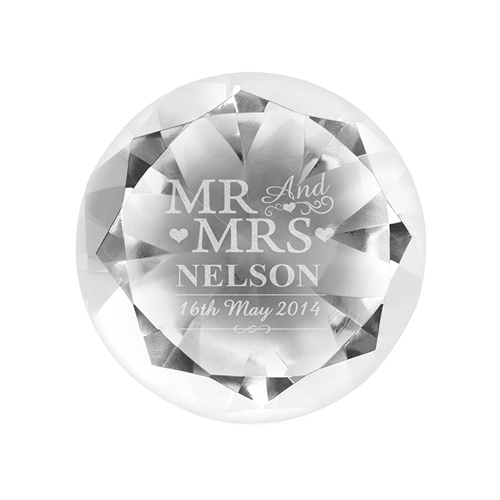 Personalise this Mr & Mrs Diamond Paperweight with a surname upto 12 characters and a date upto 15 characters. NOTE: The personalisation will appear as entered. If you require UPPER CASE, please enter the text in this style.